Court rules that right of young Jewish women to pray at Temple Mount gates is no less than that of Arabs to do so. Jerusalem Magistrate’s Court Judge Shmuel Herbst rejected a police request to distance three 14-year-old Jewish girls from the Temple Mount area who prayed near the Temple Mount gates. In his decision, Justice Herbst ruled that the right of young Jewish women to pray at the Temple Mount gates was no less than the right of the Arabs and that police should allow the young women’s prayers. The three girls were detained after praying at the Temple Mount gates and police requested they be distanced from the area, claiming their prayers and presence with a prayer book at the Temple Mount gate area could spark violence. 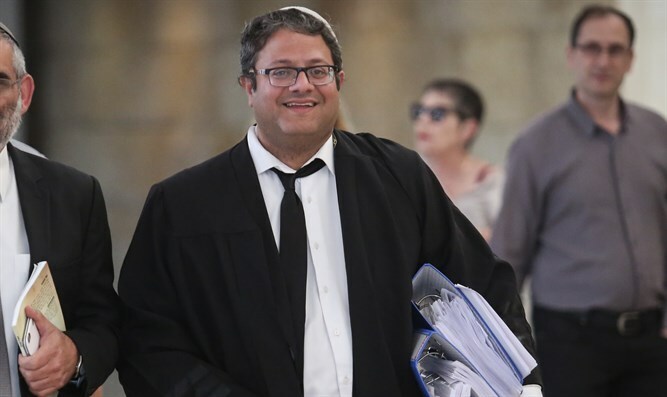 Attorney Itamar Ben-Gvir argued in court that police violated the young women’s freedom of worship and discriminated against them. Ben-Gvir also presented an extensive Israeli ruling on freedom of worship and individual rights in the State of Israel. The judge added, “There is indeed considerable traffic in the Bab al Huta lane – one of the gates of the Temple Mount – when there is Muslim prayer on the Mount, and that is good; there’s no better proof of the State of Israel’s strictness in its legislation and court rulings of freedom of religion and worship. “I don’t see how the defendants could violate freedom of worship of the other area citizens and residents. Every citizen has their own rights. The police representative’s argument that throwing of objects would have resulted from the young women’s presence is unacceptable to me, as I wouldn’t have accepted the claim that a man with a wallet full of cash walking in a neighborhood where many pickpockets live violates public safety and invites offenses,” the judge noted, adding that the police camera recording of the incident showed that one of the Muslim female worshipers pushed one of the Jewish girls and was not arrested.